This is Tucker. 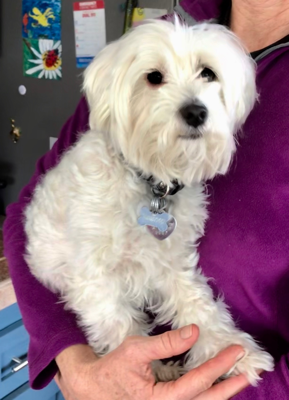 He is a 6 year old Maltese - Havanese mix who weighs 7 pounds. He is housetrained, walks on a leash and loves to be held and hang out with other small dogs. He would do best in a home where people are not gone long hours. His family was very sad to part with him. Tucker has been well cared for.